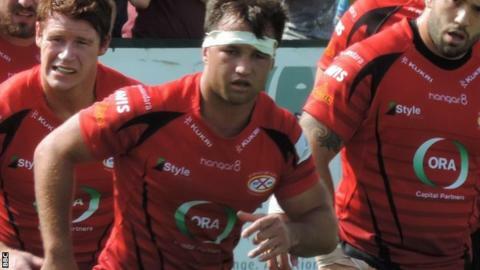 Jersey flanker Ryan Hodson is to join London Welsh in the summer after just over a year with the islanders. "I've really enjoyed the season here so just want to focus on that for now," said the 25-year old Australian. "I'm going to London Welsh, so I'll be back in Jersey at least once." He should face his old club next season, the Exiles having already been relegated from the Premiership. Jersey, who recorded their highest-ever finish in the English rugby pyramid by finishing seventh, can now prepare for a fourth successive campaign in the Championship.